From the outside, the Gielgud Theatre is an impressive sight, towering four storeys over Shaftesbury Avenue, its height further emphasized by the turret on top. The interior is also magnificent, with richly-decorated pillars supporting the boxes and lavish Baroque ornamentation. Built in 1906 and known as the Globe Theatre for most of the 20th century, it was renamed after the great actor Sir John Gielgud in 1994. For such an impressive theatre, it has had a surprisingly chequered production history, with few long-running shows and some notable flops, such as the revival of Andrew Lloyd Webber's Tell Me on a Sunday. Still, there have been some high points in its history: many of Alan Ayckbourn's plays debuted at the Gielgud and the 1943 production of The Importance of Being Earnest is widely regarded as being the definitive version of one of the great British comedies. What are the best dining options near Gielgud Theatre London? Gielgud Theatre gyms, sporting activities, health & beauty and fitness. The best pubs near London Gielgud Theatre. 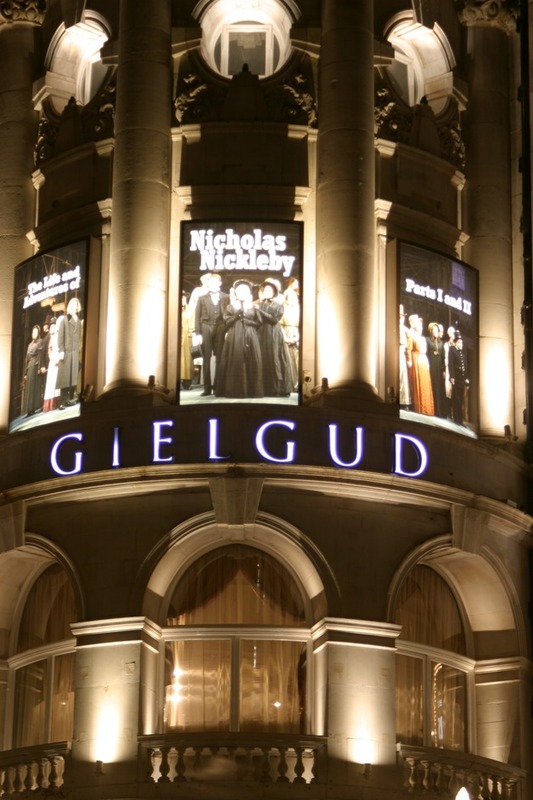 Gielgud Theatre clubs, bars, cabaret nights, casinos and interesting nightlife. Where to have your meeting, conference, exhibition, private dining or training course near Gielgud Theatre. From cheap budget hotels to luxury 5 star hotels see our deals for Gielgud Theatre hotels, including The Nadler Soho Hotel from 82% off.